Golf Brush two sided golf brush with key ring. Two sided golf brush with brass bristles on one side, nylon bristles on the other. Includes plastic clip and key ring. Looking for a promotional product to stay "on par" with your business?Then add your company name or logo to this handy golf brush and give them out at charity fundraisers or tradeshows! 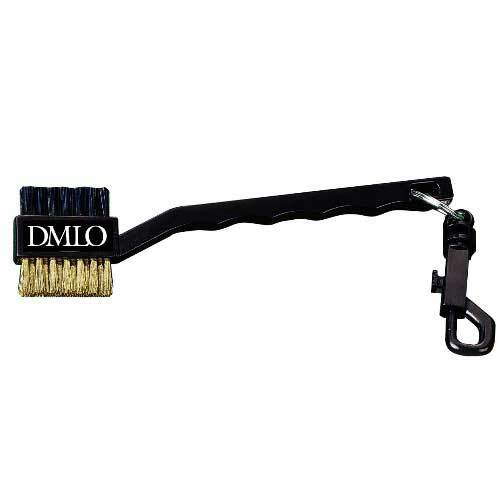 This two-sided golf brush features brass bristles on one side and nylon bristles on the other. Includes a plastic clip and key ring attachment to hook onto a pocket or travel bag. Ideal for country clubs, athletic associations and corporate outings! Bulk / 40 lbs / 500 pcs.